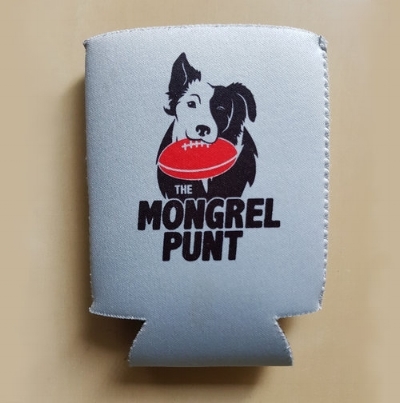 AFLW Review - Adelaide v Western Bulldogs — The Mongrel Punt Become a Patron! So I start this review knowing that the entire process is fraught with danger. I start it knowing that many readers of the Mongrel Punt aren’t fans of AFLW, and may turn their nose up at it. That’s fine. I write it knowing that there is a segment of the football community who lives and breathes AFLW, and will defend it vehemently irrespective of the quality of the game, and I know there are those who will talk negatively about the game regardless of whether it is a modern classic or an ordinary display. And yet here we are anyway, reviewing our first (and maybe only depending on how we go) AFLW game of 2019. At the risk of annoying our regular readers, and possibly even new ones, I’ll review the game the only way I know how - honestly. I chose the Western Bulldogs v Adelaide Crows as the game to cover based on the fact I’d watched a bit last year and some of these girls on these teams legitimately looked like they knew what they were doing out there. Again tonight, there were some who shone under the lights, but there were some who should’ve been lurking in the shadows. Rather than adopt the ‘Good, Bad, Ugly’ format I do for the men’s competition, I’ll go for more of a generic rundown of things that jumped out to me during the game. As someone who hasn’t followed AFLW rule changes closely, the new last possession out of bounds free kick… but only between the 50 metre arcs is one of the most convoluted and unnecessary changes I’ve ever seen. One rule in one part of the ground, and a different rule in another for exactly the same thing is incredibly stupid, and whoever thought that was a good idea should probably be looking for alternate employment. How could you possibly think that isn’t confusing? The skill errors came thick and fast, but you know what? I don’t mind that. Yes, you see some kicks completely miss targets, or fly out of bounds on the full, but as long as I get a good attack on the ball in a game of footy, I am a happy camper. Halfway through the first quarter, Lauren Spark had established herself as the best defender on the park. By half time she had seven marks, and was able to repeatedly zone off her opponent to read the play and intercept Adelaide attacks. At one point it looked as though the Crows were picking her out and kicking it directly to her. Credit where it’s due – she made it seem that way, and was the thorn in the Adelaide side all evening, finishing with a record 11 grabs. Those thighs of Ellie Blackburn… wow! She looks like a powerhouse, and strikes me as someone who’d be incredibly hard to tackle, and bring to ground. Once she had those pistons pumping, it made her an absolute weapon. It was her long ball from a clearance to Katie Brennan that set the Dogs up in the second quarter after Adelaide had all the play for the previous ten minutes. And whilst we’re on that, I have zero doubt that Adelaide lost that game. They were far and away the better team for long stretches of play. And it wasn’t just the missed shots at goal that cost them. The amount of times they completely botched scoring opportunities, resulting in no shot at goal at all absolutely shot themselves in the foot. On the whole, the Crows were a 4-5 goal better side on the night, and got rolled by four minutes of footy. But it’s hard to be a 4-5 goal better side in a game where there’s three goals kicked, huh? We’ll get to that. And in that four minutes, Katie Brennan kicked two goals, one from a complete gift from Dayna Cox on an ill-advised kick in. It travelled 15 metres and landed in Brennan’s lap. It’s hard to pinpoint one or two actions that cost a game, but what a mistake that was. When there’s three goals kicked in a game, and you’re responsible for giving up one of them, you’ve got to own it. Noticed that the Bulldogs were very patient early, like a boxer absorbing the attack of their opponent, then counter-punching. The Crows were a bit more frantic, and had they finished better, could’ve had the game nicely in hand. Kicks exiting the defensive 50 just weren’t working for either team. Watching them, they’d be better running and trying to link via handball, as the “kick and hope” style is easily cut off by a half decent structure across the middle. I lost count of the times a clearing kick from half back came straight back after it was chopped off. Through the first three quarters, I really liked what I saw from Justine Mules. She looks like a natural, and was really dangerous at times. She moves well and made a habit of finding herself where the ball was going, which is a talent in and of itself. That said, she dropped a couple of crucial uncontested marks in the last quarter… she takes them and I have her in the votes. Ebony Marinoff led the game in both disposals and tackles, and the latter should not surprise anyone. After all, she broke the AFL/AFLW record with 21 in a game last season. Her 10 tackles tonight are to be expected now. Interested to see that Special K is the official cereal of the AFLW. Personally, I like Vita Brits – no added sugar, guys. Get on it. You could see Chelsea Randall wanting to take the game on in the second half, but she was one of the main offenders in wasting of the footy when she did. Champion Data will count a couple of her kicks as effective, as they travelled 40-odd metres, but they went to no one. Whilst I am on that, the risky kicks into the corridor were heart-in-mouth stuff. The kicks, for the most part, just seem to sit up in the air too long, and really give the opposition the chance to close down the space and affect the turnover. Had to laugh when Sam Lane interviewed Izzy Huntington (who I remember watching last season, and she was looking great until she did her knee – get well soon) and she said that Brennan had “ripped the game apart” in the first half. Hmmm… at that stage, Brennan had three kicks and two marks. Other players on the ground had the following stats. Ebony Marinoff – 14 touches and five tackles. Lauren Spark – Seven disposals, seven marks. But Brennan was ripping the game apart, was she? I’ll tell you what – I know Brennan is a marquee name for the competition, but geez, please don’t ram her down our throats. She was the recipient of a wonderful Blackburn clearance and kick to set up her first, and the beneficiary of a disastrous kick in for the other. She ripped nothing apart. I liked Hannah Scott's game. She was solid all evening, and unlike many others, didn't repeatedly waste the footy. Eloise Jones was in the action a bit, but I am not sure it was for good reasons. Her miss after a ripping mark in the second quarter was so costly. Seriously, the mark was wonderful, but 20 metres out, right in front… that’s James Manson kind of kicking. In a three-goal game (in total), how costly is that miss? Then she got crunched by Kirsty Lamb, which I loved. Lamb saw her take too long to get settled to kick, and made her pay. Jones got up, which was great to see, but Lamb dropped her fair and square – fantastic stuff. So, with so many kickouts ineffective, playing on looks like the preferred option from full back. At least with a 10-15 metre run and a long ball, you gain 55 or so metres and aren’t within a kick of goal. A turnover 60 metres out doesn’t absolutely kill you. A turnover 25 metres out does. The fact they did not score from a foray inside 30 metres, with two players open, is just ridiculous. Scheer got an opportunity a few minutes later from 20-25 metres out and missed everything from a pretty tough angle. But wait on… I think it was Abby Holmes on commentary that then stated that Scheer “certainly shouldn’t be disappointed with that effort”. I don’t see how she could be anything but disappointed with a shot at goal that went straight across the face and out of bounds on the full from 20 metres out. Players miss kicks at goal – it happens, and when they miss, they’re disappointed. For mine, the only way she could be more disappointed with her kick is if her boot flew off and accidentally hit herself in the face on the follow through. Shut up Abbey Holmes. So I turned to the missus as the last quarter started. “Next goal wins” I stated, quite confidently. What I meant to say was “next score wins,” obviously. Only two touches for Blackburn in the final stanza. Players looked pretty fatigued in that heat. I wonder how the players feel about playing in summer? We all remember pre-season training, sweating it out in the heat… I think busting your gut in a game would be so sapping with the temperature well above 30 degrees. I hope AFLW and AFL can one day coincide in the winter. This is the “winter game”, after all. Really thought Jessica Foley did some good work at stoppages, giving the Crows first use the majority of the time – she found Anne Hatchard twice and took it cleanly out of the ruck once in the space of a few minutes, but those clearing kicks… they went to no one every time. Not just Foley and Hatchard – every Crows player missed the mark. And so, the scoring elephant in the room. The biggest criticism of AFLW you find is that people point to the scoreboard and denounce it. In hot conditions, we had three goals scored tonight. It’s not really good enough, is it? I know that low scoring games can also be good games, but they aren’t a spectacle. But how do you fix it? Does it even need fixing? Is this just what AFLW is? Regardless of how you feel about it, a 17-18 score line isn’t a great selling point for the game. I guess it’s one of those situations where if you love AFLW, no explanation is necessary, and if you hate AFLW, no explanation will suffice. I’ll watch more AFLW games as the season rolls on. Players like Lauren Spark, Eb Marinoff, Justine Mules and Ellie Blackburn showed me enough to keep me interested. After all, the Mongrel loves footy.